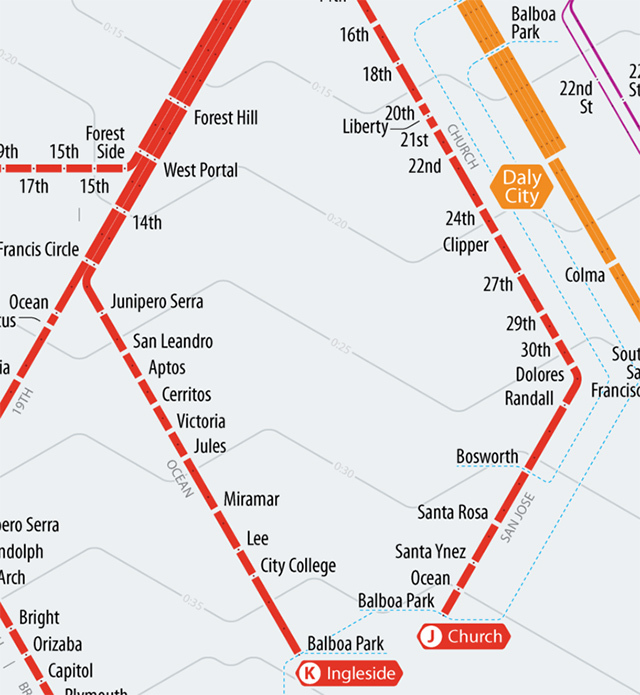 Today in maps: Peter Dunn of Stone Brown Design has created this time-scaled map of Muni, BART and Caltrain, all arranged by how long it would take you to get to commute to of the downtown San Francisco stations. The result looks like a bit like a contour map, but with the elevation lines replaced by travel times. In other words: travel times from stations on the same concentric ring take the same amount of time to get down to Embarcadero station. Naturally, the whole thing is available as a large print suitable for hanging in your apartment which is no doubt convenient to a local transit hub, in exchange for a donation on Kickstarter. You can also read more about Dunn's methodology on his site here. A lot of cocktail fans mourned the loss of cozy Tenderloin spot Big, which had to give up the ghost far too quickly last year when the building it was in was sold.